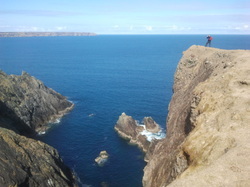 Welcome to Hidden Hebrides, the specialists in Scottish Island walking, wildlife and outdoor adventure holidays. We are an island based company offering unique outdoor experiences in one of the world's most spectacular locations. Based on the Isle of Lewis but operating throughout the Hebrides, we have unrivalled knowledge of these spectacular Scottish islands. Our diverse range of holidays include guided and self guided walking trips, cycling packages, wildlife watching tours and bespoke outdoor adventure packages. 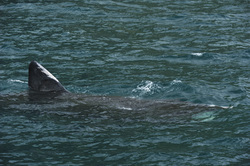 We also run day walking and wildlife tours on the Outer Hebridean islands of Harris and Lewis. 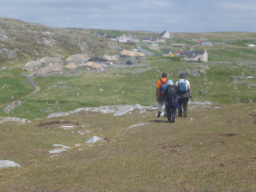 We run a fabulous range of guided walking tours in the Inner and Outer Hebridean islands, including memorable day trips to uninhabited off-shore islands. The Hebrides is home to much of Britain's finest wildlife, including eagles, whales, dolphins, basking sharks, otters, deer....and much more. Discover the magic of the Hebrides at your own pace. Our competitively priced self guided holidays take the hassle out of planning your trip - and include all accommodation, meals and comprehensive route guides. Bespoke packages to give you the best experiences the Hebrides have to offer. 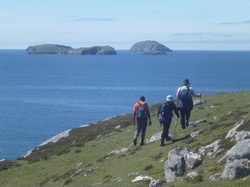 Walking, mountain biking, wildlife watching, sea kayaking, surfing, sailing, fishing....the choice is yours.